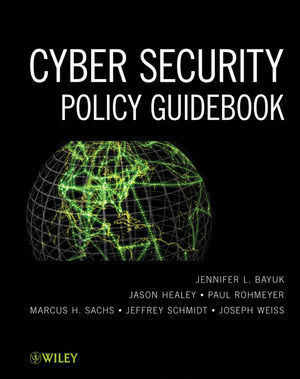 Dr. Jennifer L. Bayuk is an independent cyber security consultant and industry professor at Stevens Institute of Technology in Hoboken, New Jersey. Jason Healey runs the Cyber Statecraft Initiative at the Atlantic Council in Washington, DC. Dr. Paul Rohmeyer directs the Technology Information Management program at Stevens Institute of Technology in Hoboken, New Jersey. Marcus H. Sachs is the Vice President for National Security Policy at Verizon Communications. Jeffrey Schmidt is a cyber security technology entrepreneur. Joseph Weiss is an industrial control system cyber security author and consultant.